Our Rapid Outsourcing Calculator™ allows you to quickly determine the financial impact outsourcing could have on your budget. This tool will allow you to easily find out the cost to outsource your mainframe environment. 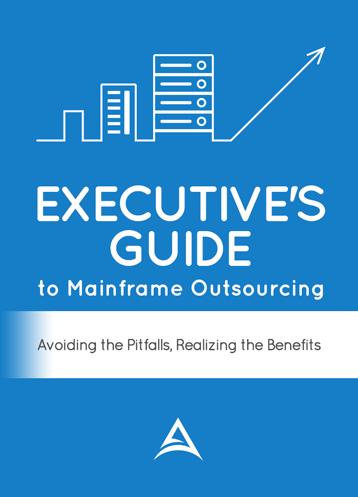 When discussing mainframe outsourcing with IT executives, the question of outsourcing costs is often at the top of everyone’s mind. How much will outsourcing save/cost me? How quickly can I realize the savings? How do vendors leverage savings? How can I quickly assess my environment to determine if outsourcing makes financial sense? Until now, most companies would have to go through a lengthy Request for Proposal (RFP) process to obtain competitive bids, and perform their own internal cost analysis to determine whether outsourcing made financial sense. The typical RFP process could require months of effort, distract/alarm staff and consume valuable resources. We have developed our Rapid Outsourcing Calculator™ to help you eliminate all of these concerns and obstacles. Accelerated Outsourcing has built this tool to help you easily understand what the cost-benefit of outsourcing could be for your mainframe environment. We offer this tool to help you make a well informed decision. Simply enter in your information and in two business days we will email you your results.